. يعمل فندق مانترا كولانجيتا بيتش على ضمان إقامة مريحة لضيوفه من خلال خدماته الممتازة وحسن ضيافته. إن تسجيل وصول/خروج سريع, تخزين الأمتعة, واي فاي في المناطق العامة, صف السيارات, التوصيل من وإلى المطار هي جزء فقط من الخدمات التي تميز فندق مانترا كولانجيتا بيتش عن باقي الفنادق في المدينة. في فندق مانترا كولانجيتا بيتش غرف نوم يزيد عددها عن 75 صممت بذوق وعناية لتوفر لك كل وسائل الراحة . بعضها يحتوي أضاً على مناشف, تلفزيون بشاشة مسطحة, بياضات, اتصال لاسلكي بالإنترنت, غرف لغير المدخنين. يقدم الفندق خدمات رائعة كمثل حوض استحمام ساخن, مركز للياقة البدنية, ساونا, حمام سباحة خارجي, سبا لمساعدتك على الاسترخاء بعد نهار طويل من النشاط والتجوال في المدينة. إن فندق مانترا كولانجيتا بيتش هو مكان مثالي للمسافرين الذين يتطلعون إلى الراحة والاستجمام في جولد كوست. لن يشتمل حجزك على خدمة الغرف إذا أقمت أقل من 8 ليالٍ. أما إذا تعدت إقامتك 8 ليالٍ، ستقدم خدمة الغرف في اليوم الرابع من إقامتك. ساعات عمل مكتب الاستقبال في هذا العقار من الساعة 07:00 AM إلى الساعة 08:00 PM كل يوم. إذا وقعت ساعة تسجيل وصولك خارج هذه الأوقات، يرجى الاتصال بالعقار قبل الوصول بيومٍ واحد على الأقل. 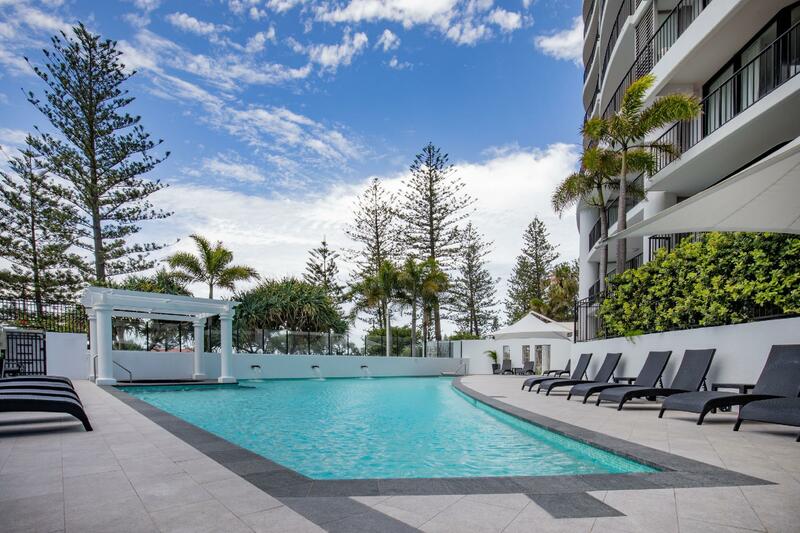 I was extremely impressed with the stay at the Mantra Coolangatta Beach Hotel. The staff were very friendly and accomodating. The room was beautiful, clean and tidy with terrific views. The whole property was clean, tidy and well maintained. I would highly recommend this to friends, family and work collegues. This is a beautiful clean well-appointed apartment complex with parking. We loved sitting on our balcony overlooking the ocean and watching and partaking in all the activities along the shore. There are restaurants nearby and some interesting shops. It is a close drive to the airport. Great place for a family holiday and there are BBQ's and seating across the road in the park.Be wary of the takeaway menu in the apartment as it was outdated with hidden costs and hotel management takes no responsibility for that. The location was perfect. The room we had was very noisy, I could hear the lifts and anyone talking in the hall. I was so excited to have a relax in the spa but it wasn’t warm enough. Whilst the the hotel itself was nowhere near the nicest Mantra hotel I've stayed at in terms of the quality and condition of the room, the staff were so friendly and helpful. I arrived after hours and was very pleased with the advice and service I got from "Darren" who went out of his way to make sure I could get my car in securely, unpack quickly and where to head out for the cold beer and steak I required after the 10hr drive from Sydney! The other lady on the way out have me directions ect on where I had to go for my conference. Good stuff guys, keep it up!!!! 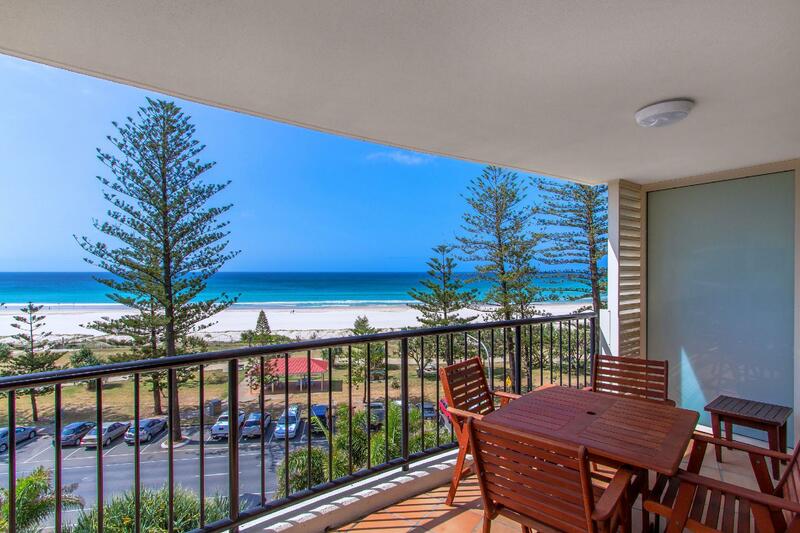 We had a 2 brm Ocean view on the 13th floor for a great price (one brm's had sold out). Lovely room, great pool area and sauna. Only issue was finding black mould stains on the roof in the bedroom where the aircon was.... hoping this was just stains and not still live mould... besides that great room with huge balcony. oh, be aware that they pre-authorise $200 of your credit card here, so not recommended if you have a small limit which you need to use (or you can give them $200 cash). While I had heaps of credit left I thought this was a bit excessive. The Novotel we stayed in the previous night only pre-authorised $50.00. Staff was exceptionally nice and the room was perfectly adapted for travel. Would make a great holiday spot! The view of the beach across the street was heavenly! Perfectly located so you're not too close to the restaurants and shops but not so close as to be annoying. Very nice hotel! Was a wonderful, easygoing experience. Only have the 1 night it was a great place to stay and enjoy the time we had at it's maximum. 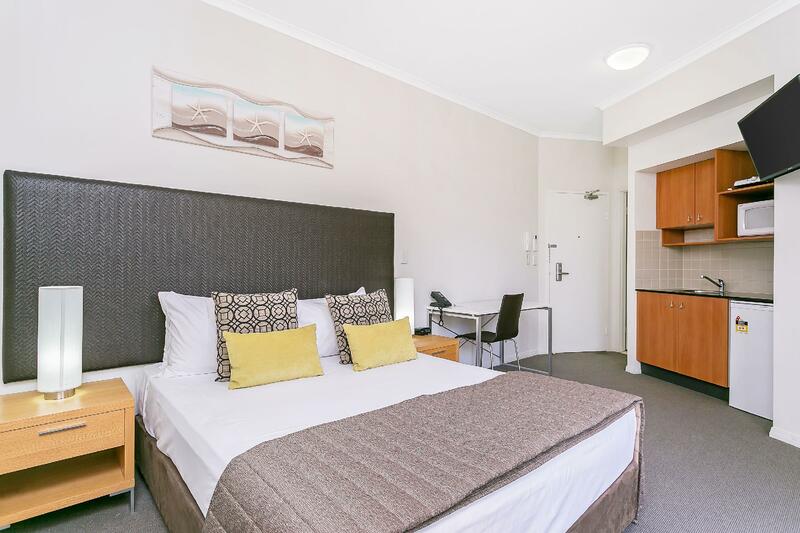 Fast check in/out, easy parking, great location, amazing view and the room set up in the 3 bedroom was fabulous for a couple with a a baby, a loud snoring member and another couple. I was very disappointed with the service provided. We booked the hotel for a night stay before heading to the airport the following day. Had great expectations from the hotel but was so disappointed. Although rooms were clean, spacious and comfortable the service provided wasn't excellent. We checked in pretty late and for some reasons, both our bathroom's toilet had no hot water that means non of my family members could take a shower! As we had a boy aged 2 years old, we had no choice but to boil hot water for him to take a bath. Contacted the receptionist and they couldn't even offer a solution to that as they said they had to contact their manager for assistance. Throughout the night we did not receive a reply from them. Very disappointed. Annoying problem created by a miscommunication between the third party provider we booked through and the hotel. This meant that he 6 colleagues i was accommodating had problems with booking in until I arrived some 4 hours later. Needs to be something done about that given that I had paid by credit card and the hotel had my contact details and could have rang me at the time the others were checking in. Also there was a requirement for 3 nights stay when booking directly through the hotel but only one night when booking through a third party. This was inconvenient as it meant I needed to go to a website, compare prices etc. I don't have time for that when I should be able to just book at the time of calling. A good apartment to stay in with beautiful view. Have excellent safety features such as roller-shuttle to separate owner and guest carpark from visitor carpark. The location is very convenient near the seaside and many eating places. Also clean rooms. Good amenities such as washing and dryer machines. Iron and ironing boards. Excellent kitchen utensils which is very practical for home-cook meals. Is definitely a very worth while apartment to stay for any family or group travellers. 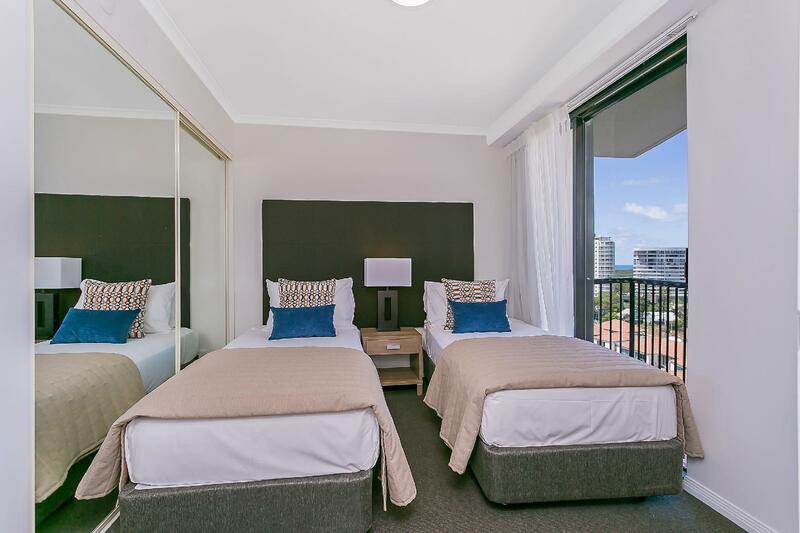 The hotel was first class in terms of its location on the beach at Coolangatta and the cleanliness of the amply sized 2 bedroom apartment. The staff were friendly and helpful and we will ceratinly go back again when we can. I picked the Mantra somewhat randomly from a list of hotels in the area, mainly by the description, and was pleasantly surprised by just how beautiful its location was. The room was equipped with a washer and dryer, and although I didn't use it, I am sure it would come in handy if I were staying for more than one night. Its proximity to nice restaurants is an especially great feature. And the variety of these restaurants is superb. Jenny on the front desk was very helpful regarding places to eat and things to do. All in all a very pleasant experience. 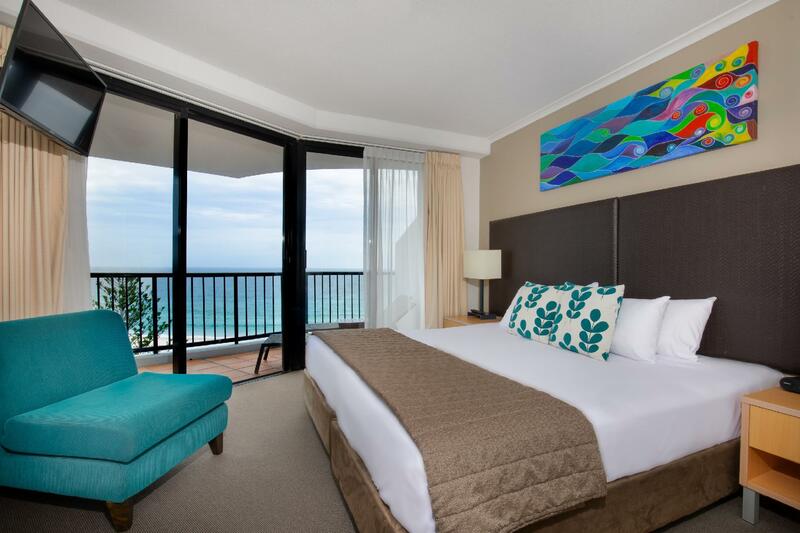 The next time I am in the Gold Coast I will definitely stay at the Mantra Coolangatta Beach Hotel.